Dreambaby® Home Safety Value Kits 46-pieces provide a one-stop solution to all your childproofing and home safety needs. An essential item on your getting ready for baby checklist. Keep cupboards and drawers securely closed to prevent curious toddlers from slamming their fingers or accessing potentially dangerous contents. Cover dangerous electrical outlets to help protect children from electric shock. Easy to install. 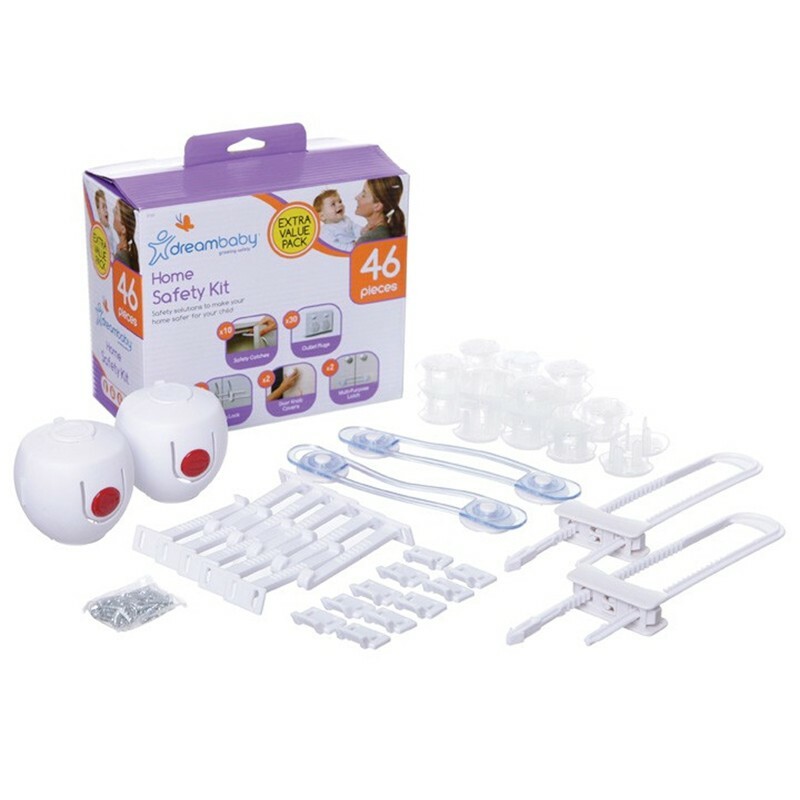 Dreambaby® Home Safety Value Kits 46-pieces contain everything you need to help make sure your home is as safe as possible for your little ones. It includes: 10 safety catches, 30 outlet plugs, 2 cabinet sliding locks, 2 multi-purpose latches, and 2 doorknob covers.